It was much warmer this April in Venice than I had expected...think gelato and cold Aperol spritz drinks and enjoying wandering the streets well past sunset to enjoy the cool of the evening. I stopped to enjoy some Venetians taking a dip. I prefer pigeons when they are solo or in small groups. These two were fun to watch as they took a cool dip on a hot afternoon. 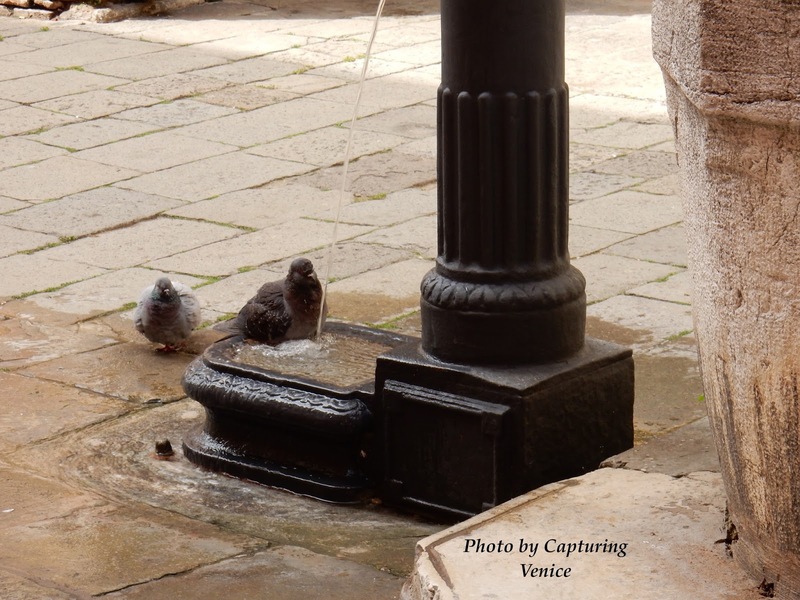 Photo (c) Capturing Venice, May 2016.